The black straight Ever Ready Case for the APO-Televid 82 Spotting Scope from Leica provides secure and functional protection for your scope. Made from durable water-resistant Cordura nylon, the case is designed for field use as well as general protection. There are covered openings that permit fast access to the scope's various components - focusing ring, eyepiece and tripod connection. The case has been designed so you can leave your Televid 82 in the case during use. There is a tripod connection slot that allows you to leave the scope connected to your pod. Throw the entire assembly over your shoulder, hike along the trail and set up rapidly. 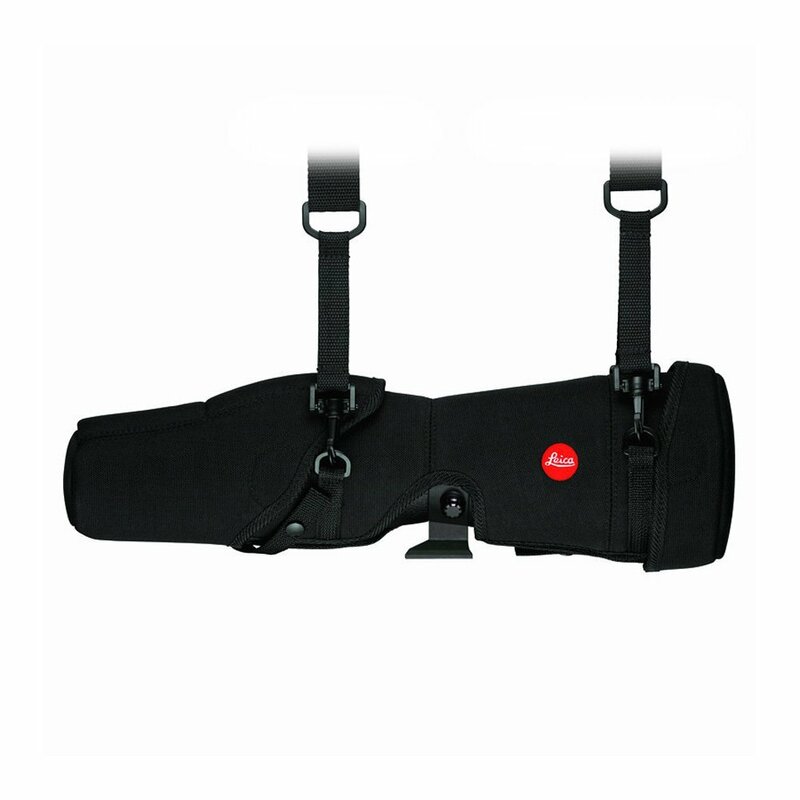 The shoulder strap is fully removable and adjustable. The case is backed by Leica's two-year warranty. Box Dimensions (LxWxH) 14.6 x 5.7 x 5.2"